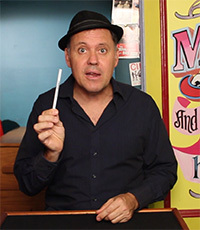 The Sneaky Shoelace Trick is simple to learn and perform, making it the perfect magic trick to perform for strolling magic or a regular magic show. 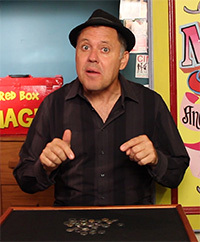 The audience participation is great and makes it a fast and fun introductory trick for your magic sets. It’s a great way to interact and build a connection with your audience. I have also been told that the Sneaky Shoelace Trick makes for a great bar trick for bartenders. The natural positioning of the audience around the bar does work well with this magic trick. The bar also provides plenty of cover for your sneaky moves and the sneaky shoelace trick can still work if a drink somehow makes it wet (although it may not be pleasant for the audience). 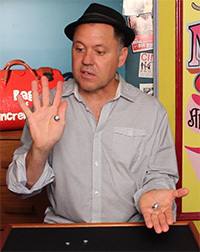 The Nut and Bolt Trick teaches you how to do a move called the Bobo switch, a move commonly seen practiced with coins. The shape of the bolt makes it easier to do with coins rather than bolts as the threaded section becomes a handle that is easier to grab than a coin. 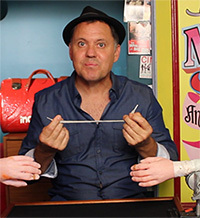 This magic trick has so much going for it. For me, it seems like a nut and bolt is intrinsically funnier than a coin, I can’t really explain why I think this way. It’s similar to how some words just sound funnier than other words. For example Banana is a funnier word than apple. Taking some industrial hardware from your pocket when it is not expected may catch some people off guard. The Nut and Bolt Trick is perfect for strolling magic as it is angle proof, wind proof and simple to perform.